A millennium ago, explorers from Earth established a colony on the planet of Vrodia Kirkos. 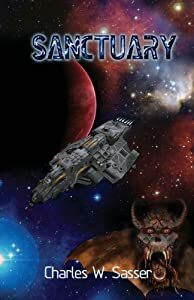 When the dreadnought CENTURION returns to make contact with indigent Humans and prepare the way for re-colonization, its crew of twelve is stranded on an Earth after The End of The World ruled under the dominion of a seemingly-insurmountable demon called Dybbuk. In order to reach Sanctuary, survivors must hang onto their souls and confront Dybbuk and his evil angels.